It should be no secret by now that I have a deep love of Oreos and this Oreo Cheesecake Bars recipe is just another recipe to add to that lineup! 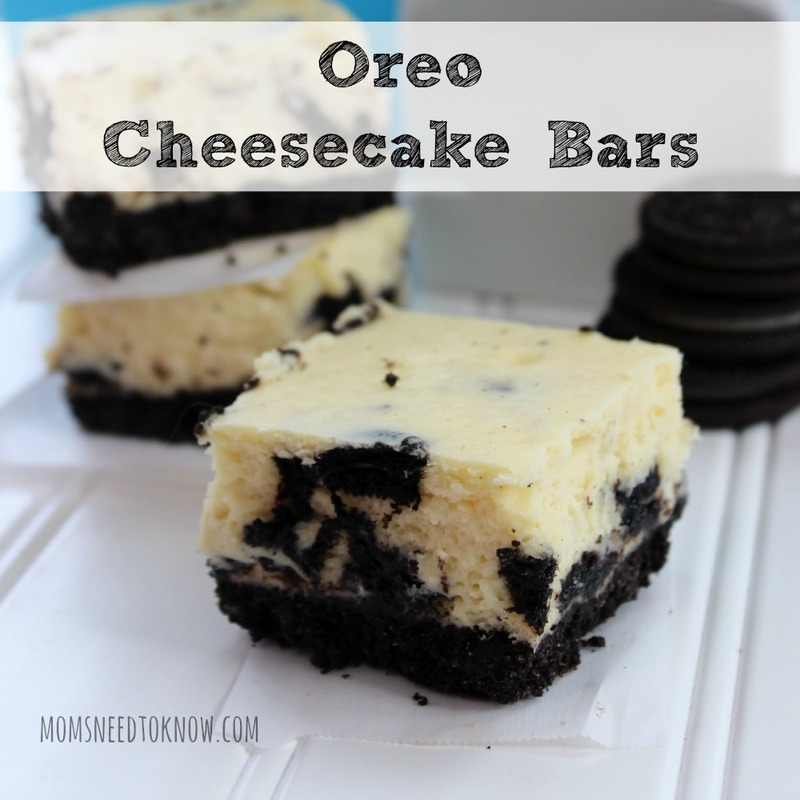 These take a little more time to make than my No Bake Oreo Cheesecake Bars, but I really think that you will agree that the results will be worth your efforts! Just make sure that you allow yourself the full 4 hours for it to chill and set before you serve it. Simply crush up the 24 Oreos (you can do this by placing them in a zip-top bag and crushing them with a rolling pin, but it will be easier and faster to just use a food processor). Mix with the melted butter and press into a prepared pan and bake the crust and let it cool. Mix up all the filling ingredients except for the Oreos until it is well-blended. 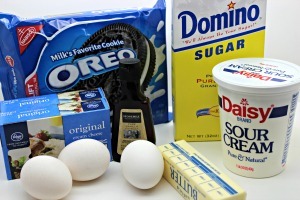 Fold in the Oreos and then bake! Scroll down for detailed directions! 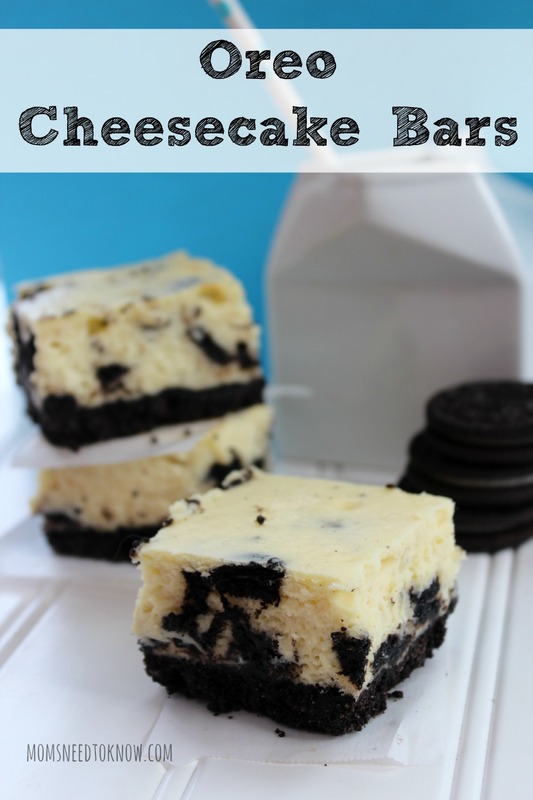 These creamy Oreo Cheesecake bars are so easy and sure to be a hit on any dessert table! Line an 8×8 baking pan with parchment paper or aluminum foil, leaving an overhang on all sides. 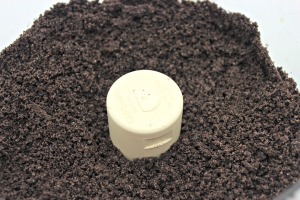 Add 24 of the Oreo Cookies into a food processor and pulse until they are completely crushed (you can also place them in a zipper bag and crush with a rolling pin). Press mixture in to prepared pan, covering the bottom completely. 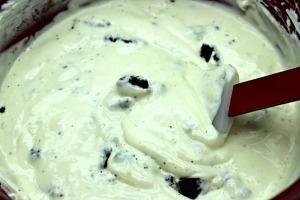 Place Cream Cheese, Sugar and Vanilla to a medium sized bowl or stand mixer and mix until smooth. Add eggs, one at a time, making sure to blend well. Add sour cream and continue beating until completely mixed and fluffy. Bake for 30-45 minutes or until the center of your cheesecake is almost set. Cover with plastic and place in refrigerator for 4 hours. Cut in to squares and serve!